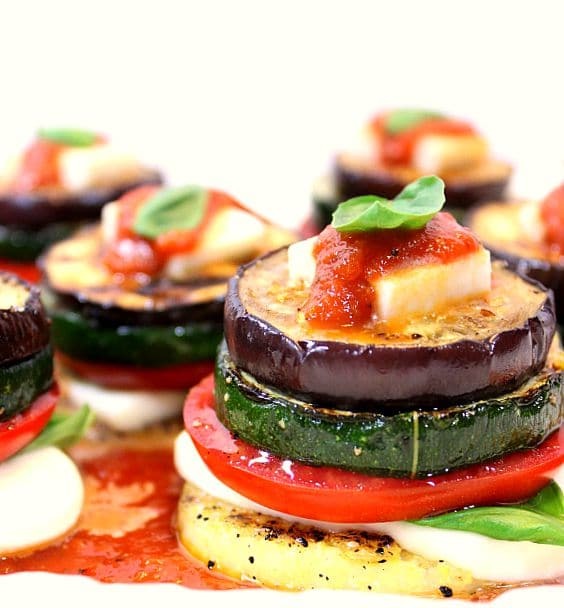 Fun, colorful and gluten free, these Grilled Garden Harvest Polenta Stacks are perfect for a meatless meal while taking full advantage of summer’s bounty of seasonal, zucchini, eggplant, tomatoes and basil. 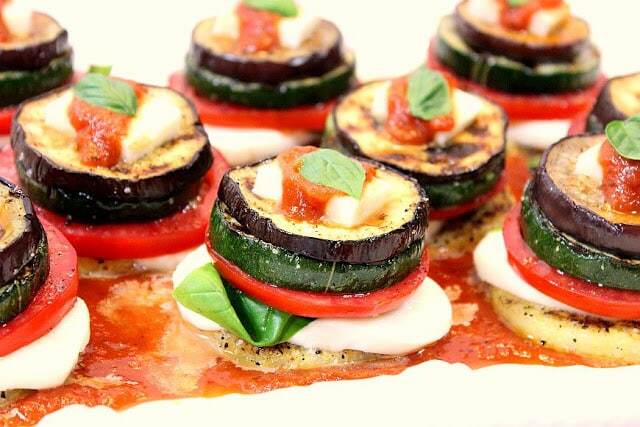 My aim with this recipe was to make something unusual with all the garden zucchini, tomatoes, eggplant and basil I found myself staring at on my kitchen counter. 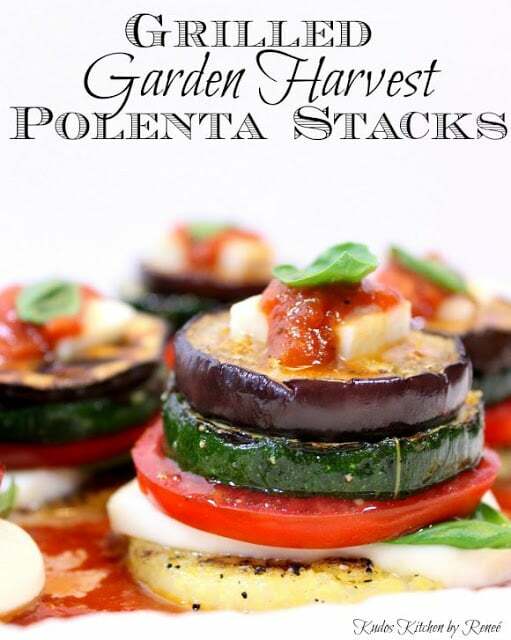 Then the idea struck with these Grilled Garden Harvest Polenta Stacks. The key to making these stacks as delicious as possible is to season each and every layer with a bit of salt and pepper. It’s also important to use vegetables that are roughly the same size in diameter as the store-bought packaged log of polenta (my brainstorm to add to these stacks while walking the aisles of the grocery store). You can find the log of prepared polenta in the International aisle of your grocery store. 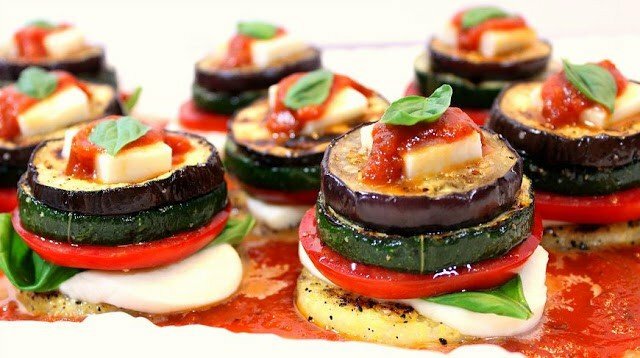 A light brushing of olive oil for each grilled ingredient adds another layer of flavor for these unique stacks making them a feast for your taste buds as well as your eyes. I used my indoor grill pan to cook the polenta, zucchini, and eggplant, but you can, however, use your outdoor grill. If grilling outdoors, pay close attention, so the vegetables don’t grill up too fast, burn, and shrivel away. 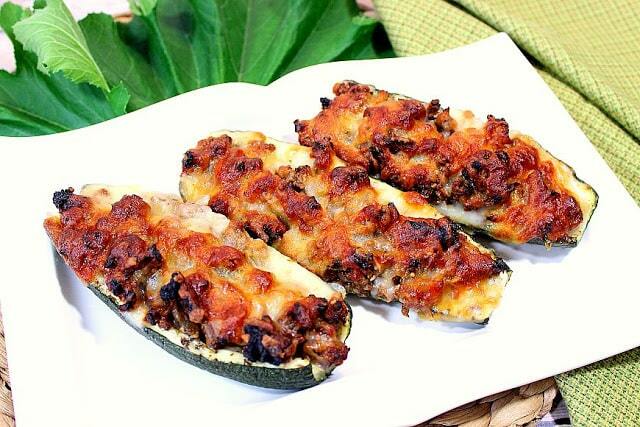 -Brush both sides of the zucchini, eggplant and polenta with a bit of olive oil. Heat a grill pan (or outdoor grill) to high, and grill zucchini, eggplant and polenta on both sides (for approximately 1-2 minutes each side), seasoning each with salt and pepper. Set aside. Season the tomato slices with salt and pepper. Set aside. -Spread almost all of the marinara on a platter (saving a little for garnish) and assemble the stacks starting with the grilled polenta, fresh mozzarella, large basil leaf, grilled zucchini, grilled eggplant, a small topping of mozzarella, a dollop of the remaining marinara, and a small basil leave to complete. -Serve immediately, or heat in a low oven (300 degrees) for 10 minutes. Since my husband loves his meat at dinnertime, I wasn’t sure how he’d enjoy these since I wasn’t serving them with any protein on the plate. 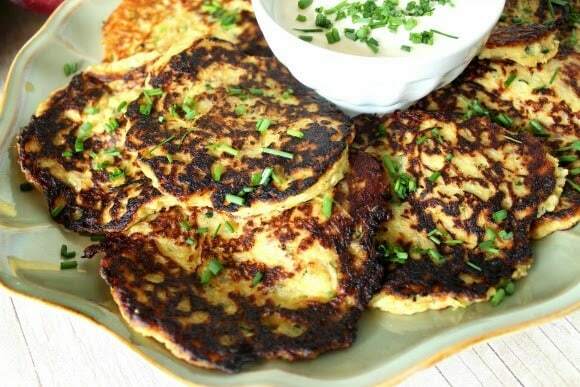 His favorable reaction was one that took me by surprise, and when he saw me writing the post for this recipe he reiterated that he thought these were “really, really good!” WOOT! 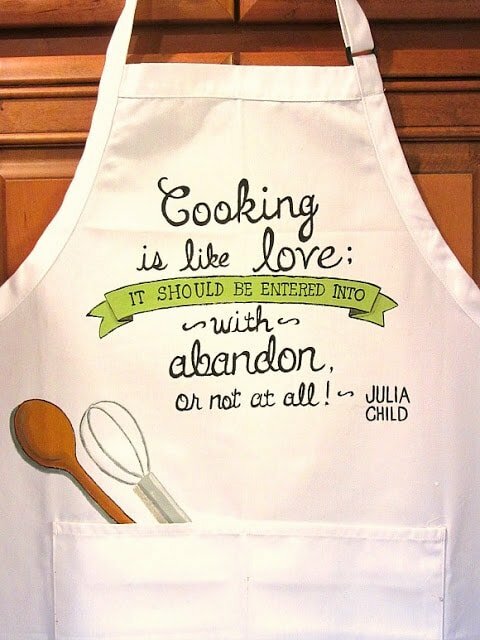 If there is ever anything I can paint for you, from aprons, to tea towels to glassware, please don’t hesitate to contact me or visit my shop on Etsy. Custom orders are always welcome and I will happily work from any photo or description you send my way. These look so delicious! I love the fresh veggies and polenta, so wonderful! Those stacks are gorgeous! I love the colors so much, just beautiful! These are wonderful. I want to buy veggies just to make them! I would eat the shtuff out of these beauties! 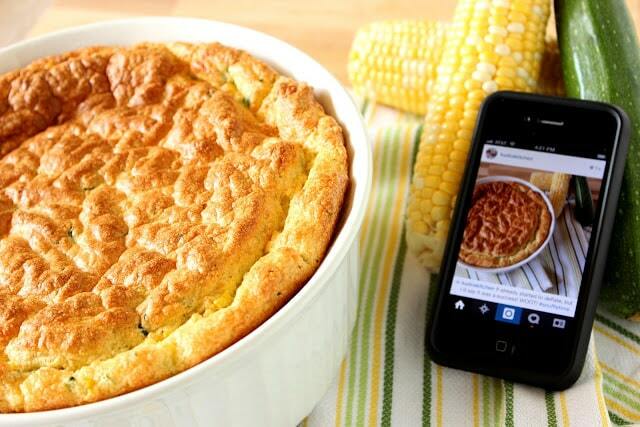 I love polenta, and I can just taste this combo. I'm SO making some. Grilled or fried polenta is the best! 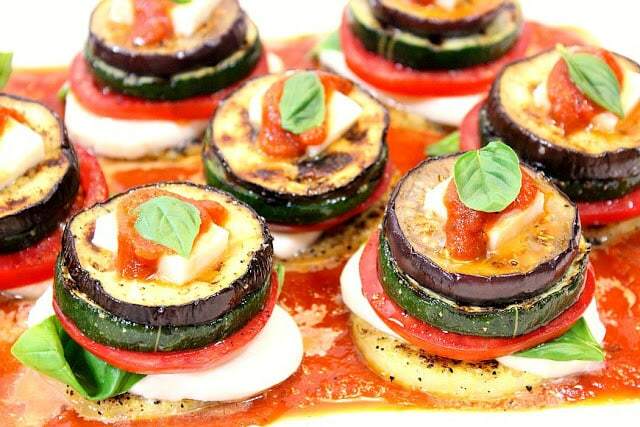 All those fresh veggies and mozzarella make these stackers totally worthy of main dish status. 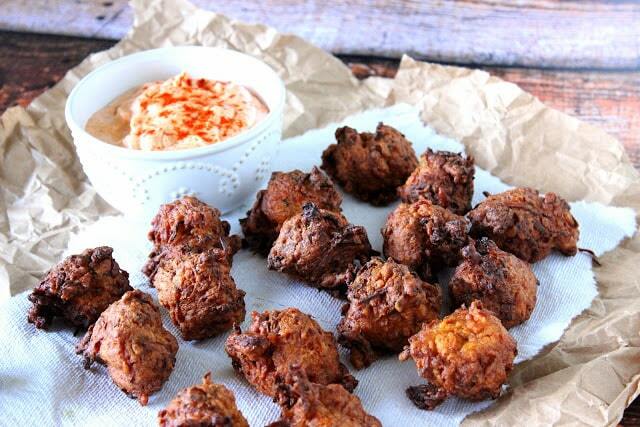 I would happily eat these for dinner any ol' time. So many fantastic flavors and textures, all in one place!